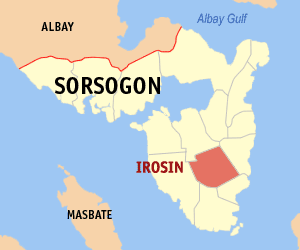 Irosin is a second-class, and the only land-locked, municipality in the province of Sorsogon, Philippines. Its local tourism is considered to have a great potential, as ecological tourism is becoming popular worldwide and the national government is intending to develop the region as a major hub for travelers. Given its strategic location and its variety of natural tourist spots, the town can be an area where local and foreign visitors converge. 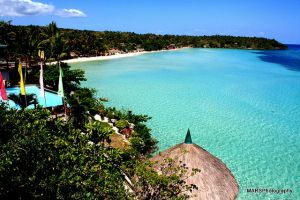 Irosin has a lot of potential attractions, ranging from historic landmarks to natural parks, as well as cold and hot springs, such as the St. Michael Archangel Roman Catholic Hilltop Church, the Mateo Hot and Cold Spring Resort and other protected areas. There are also the Bolos Crystal Spring and the Valley View Park, which has become a popular stop for travelers and truckers plying the Maharlika Highway, and the Mapaso mineral hot spring, which is famous for its purported healing qualities. The town also has one of the remaining protected tropical forests in the Bicol Region. The most popular festivals that are held yearly in Irosin include the Santacruzan, the feast day of the town’s patron saint, Saint Michael Archangel, and the village fiesta. When the feast day is celebrated, there will be a series of activities that start in August until September, including sports leagues, amateur singing contests, agro-industrial trade fairs, parades, dancing, procession of the patron saint and mass gatherings at the church. There is also the popular Paray Festival, where people have a demonstration of thanksgiving for the graces and good harvest they had. As for the food, there are many Filipino delicacies that you can have in Irosin, but the most popular among these would be the kinagang, which is an appetizer. This recipe has many versions, including an easy one that combines coconut meat (buko), sliced scallions, crabmeat and lemongrass, which is then wrapped in banana leaf and steamed. There is also one that uses shrimp or scallops to achieve a more full seafood flavor. The town is an ideal jump-off site if you love mountaineering and ecological treks, which has become popular among tourists. 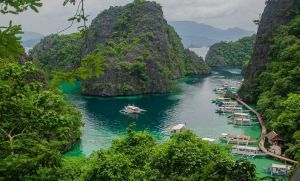 Off its coasts, you can also do some island hopping, as there are beautiful islands that you can go to that boasts of clear waters and colorful marine ecosystems. 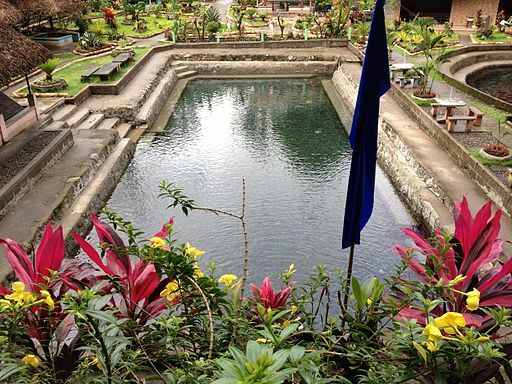 However, one that has been attracting tourists is the walk on the scenic trail to the Bulusan Volcano National Park and the springs at Mateo Hot and Cold Springs Resort, which offers therapeutic effects and unique opportunities for swimming in cold and hot natural springs all in one place. From Manila, you can take a bus that is bound for Bulan or Matnog, which will pass by Irosin. You can also take those that stops at the Sorsogon City Central Bus Terminal, and from here, you can take a jeepney that will take passengers to the different towns of the province, which include Irosin. DOT announces launching of events in Clark!